The park secures a new creative urban area of Danish City, Roskilde, from future flooding as result of sudden rainfalls. It can contain 23.000 m3 of rain water, equivalent to 10 swimming pools. 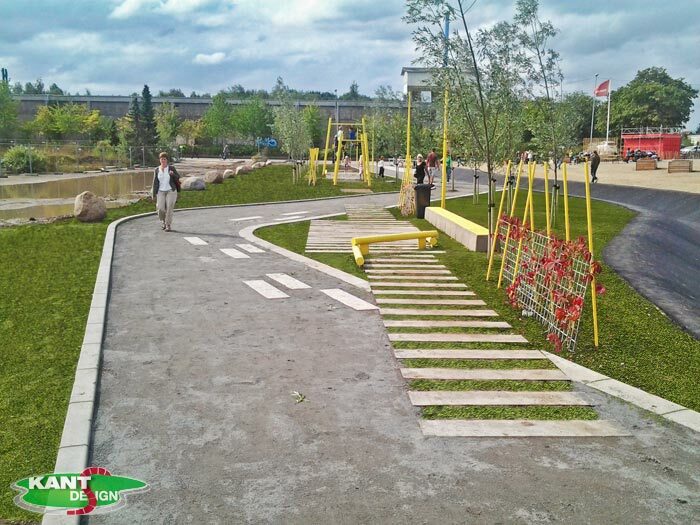 But as heavy rainfalls only occur few times a year, the channels and pools have been designed to support other activities, such as skating, trampolines, grills, seating furnitures, fitness equipment, swings, etc. Instead of taking up space, the facility will provide the citizens a recreational oasis. Rabalderparken is nominated to a long line prices around the world.